I've got to say that I am a sucker for a great cover shot. Give me a gorgeous cover with a beautiful model as subject and I will gladly purchase a magazine without even peeking at its content. December 2012 is shaping up to be a particularly festive period, with a slew of innovative covers featuring models hitting the newsstands. 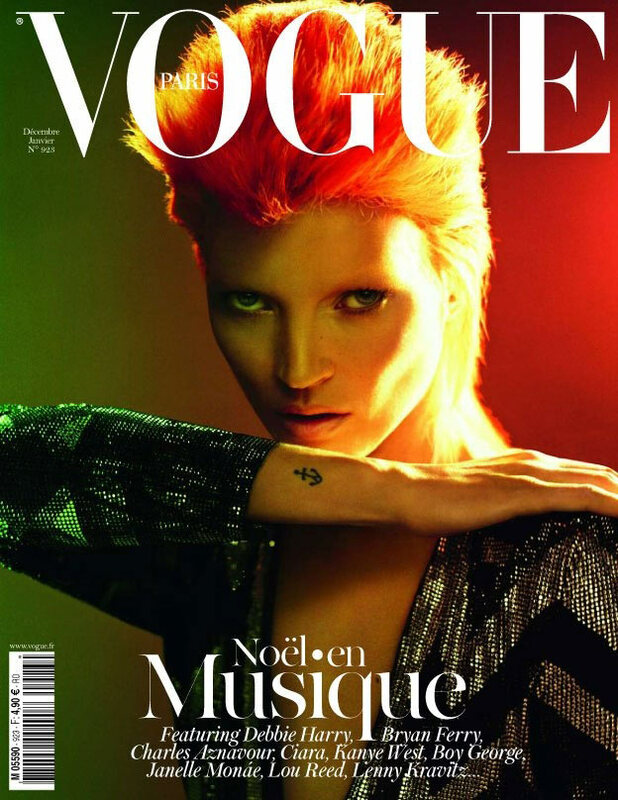 Kate Moss channels David Bowie for Paris Vogue, Karlie Kloss continues her winning streak for French Numéro, newcomer Marique Schimmel goes Indie for the hip Aussie publication Russh and Lindsey Wixson is Muse's December Golden Girl. 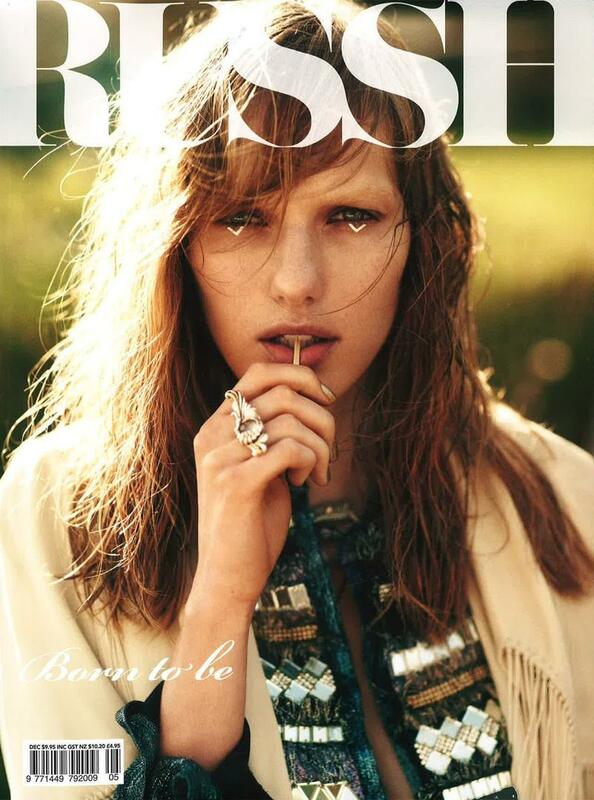 For me, models and photographers have always played an integral role in fashion magazine's identity. I remember the days when the names of photographers such as Richard Avedon, Patrick Demarchelier, Herb Ritts, Peter Lindbergh, Gilles Bensimon and Steven Meisel were synonymously tied in with specific publications. I stopped purchasing US Harpers Bazaar (post-Liz Tilberis) and W Magazine when the covers began to resemble the latest cover of In Style. These days I anticipate instead, the arrival of the latest issues of publications including Paris and Italia Vogue, French Numéro, Russh and i-D.